Fully furnished, double bed, double sofa bed, fully equipped kitchen, washing machine, bath tub, internet wi-fi, elevator. Very comfortable, with nice view, in a picturesque newly restored building, with nice view. 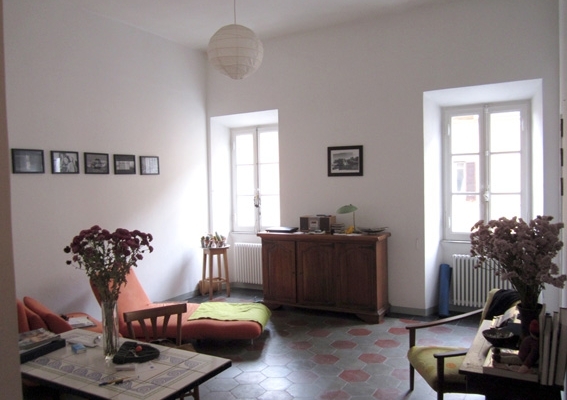 The flat is situated in one of the most charming and strategic areas of the roman historical centre, Monti. Located in a quiet street, is close to restaurants, bars, open markets, super markets, shops, public gardens, post office, metro, bus, and so on.